This time a year ago, the media was going big on one particular story – SWINE FLU! News stories today report intensive care units across New Zealand and Australia were on the verge of turning away seriously ill patients during the pandemic, due to a twelve-fold increase in the number of flu patients being put into intensive care last winter. 1) What have we learned about swine flu in the last year? What were the particularly big lessons (eg. the demographic of those most affected, vaccine safety, etc)? Robert Webster: ’The big takeaway from this pandemic is that there is no way we can predict the severity of a pandemic: flu will continue to foil us no matter what we do. It was much less pathogenic than than the 1918 strain — when the virus first started showing up coming out of Mexico out of pigs we immediately started thinking of Spanish flu 1918. We prepared for the worst and hoped for the best. We got something in between. – We have learned that the pandemic affected young people more than old people. – We learned that the pandemic is highly transmissible, and spread rapidly to every continent within weeks. – We learned that although 2009 H1N1 is less lethal than the 1918 pandemic, it still caused 17,798 reported deaths worldwide. If there was no concerted public health response worldwide, the death toll may well have been higher than this. – We have learned that the pandemic vaccine safety profile is as good as the seasonal vaccines’ and one dose of vaccine, rather than 2 doses as originally expected, provides good immune protection. Richard Hall: ’We have learnt that pandemic influenza, previously known as ’swine influenza’, is a mild to moderate infection that arose from the combination of avian, human and swine influenza strains that mixed together to create a new virus. Characteristics of this virus are similar to previous pandemics that have occurred in the 20th century, although the 2009 pandemic virus appears to be less severe. 2) What significant new research has emerged here and abroad in the last year looking at H1N1 and what has it revealed? John Fraser: ’It spread in a very similar pattern to other influenza strains. However, the most striking finding from NZ research, which led the world, was the very rapid rate of decline after the peak in week 28 ( July 2009). By August the notified cases (GP visits and hospital admissions) were declining rapidly. I suspect this was a result of fewer people visiting their GP once it became clear that it was just another flu, and that people chose to ride it out at home rather than visiting their GP. ’It appears that young people were more at risk from H1N1 than adults with a clear shift in age related cases. This suggests that there was protective immunity in older people probably due to some cross reactivity to a previous strain. – Co-infection research: ’NZ is in a unique situation among all southern hemisphere countries in that we had co-circulation of seasonal A(H1N1) virus which is Tamiflu-resistant and pandemic A(H1N1) virus which is Tamiflu-sensitive. Richard Hall: ’ESR scientists have determined that pandemic viruses circulating in New Zealand in 2009 and early 2010 are still sensitive to the anti-influenza drug Tamiflu. A normal seasonal influenza virus emerged in 2008 that had developed resistance to Tamiflu, and ESR identified the arrival of this virus into New Zealand late in 2008. This tamiflu-resistant virus was present in the community at the same time as the pandemic occurred. Researchers at ESR are working with experts at St Jude Childrens Research Hospital (Memphis, Tennesse) to determine what the impact of co-circulation of both these viruses might be, with the results from this study being due out shortly. Michael Baker: New Zealand made an important contribution early in last year’s pandemic by publishing (in August 2009) the first description of a complete pandemic ‘first wave’. Our position in the Southern hemisphere meant we were one of the first countries to experience this event and our surveillance systems performed well. This description correctly identified the relatively small proportion of the population infected by the virus and the low case fatality. This reporting has been widely cited and assisted the Northern hemisphere in their pandemic planning. Intensive care specialists in New Zealand and Australia also collected and analysed systematic data on the worst affected cases in both countries which helped to identify risk factors for severe infection (notably pregnancy, extreme obesity, and respiratory illness). 3) Overall, what was the effect in New Zealand? Was it more or less severe than in other countries? Sue Huang: ’ESR’s sentinel GP surveillance showed that about 2.7% of New Zealanders (116,335) had influenza-like illness resulting in a visit to a GP, with children aged 0-19 years having the highest disease burden. The ILI activity in 2009 was the highest during 1997-2009 and the second highest during 1992-2009, second to 1996 activity. 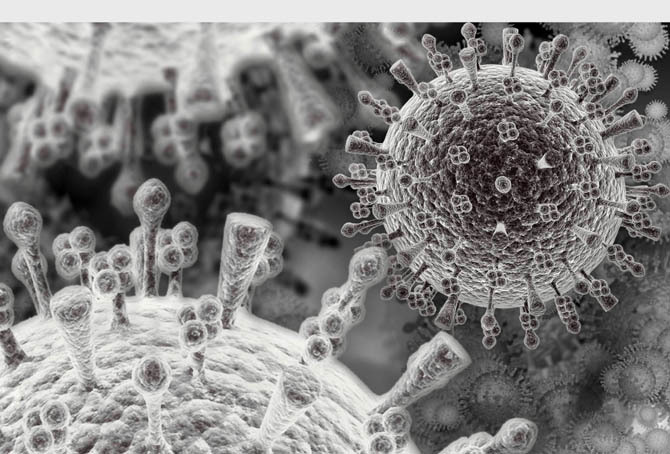 ’Within 3-4 weeks, the Pandemic H1N1 virus rapidly overtook seasonal H1N1 virus (the initial predominant virus) and became the predominant virus for the rest of the first wave. That pandemic H1N1 out-competed seasonal H1N1 in NZ is a unique situation among southern hemisphere countries. This situation helped the WHO and the Australia Influenza Vaccine Comittee to make the decision to remove seasonal H1N1 components and replace them with pandemic H1N1 components since seasonal vaccines only allow 3 components (H1, H3 and B) for the incoming influenza season in 2010. ’ESR’s Notifiable disease surveillance recorded 3,668 confirmed and probable pandemic cases. It also recorded 1,014 hospitalised cases due to pandemic virus. This is the highest record during 1990-2009 with the second highest record in 2003 with 552 hospitalised cases. The risk factors include pregnancy, chronic respiratory conditions, diabetes mellitus, cardiac disease etc. ’Although there were 20 fatal cases being confirmed to be due to the pandemic virus, about 119 patients were admitted to ICU, much higher than other years. The improved hospital care in the modern era, in particular ICU care, may have saved many patients’ lives. ’Combining all the facts listed above, my interpretation is that when 2009 pandemic is compared to the worst pandemic in 1918, it is mild. The 2009 pandemic is similar to the 1957/1968 pandemics. However, when 2009 pandemic is compared to seasonal influenza monitored over 1990-2009, it belongs to a severe form based on the second highest ILI activity in the community, the highest hospitalisation and very high ICU usage. The low mortality may be due to improved hospital and ICU care in modern era. Richard Hall: ’The response from public health authorities and the virology laboratories within New Zealand has been held up as an example of a well conducted response. Decisive action and intervention was taken by public health authorities in the early stages of the pandemic which helped to contain the initial incursions of the virus. Our laboratories were able to cope with testing very large numbers of samples during the containment phase, keeping up a pace that much larger laboratories overseas were setting. ’At the peak of the pandemic, ESR scientists were testing greater than 300 samples per day. During the containment phase, lab testing helped to delay the spread of the virus by identifying those affected and allowing decisions to be made about patients that should remain in isolation until they became non-infectious. During the management phase, ESR scientists monitored the changes of the virus closely regarding antiviral resistance and any genetic and antigenic changes. 4) Was the pandemic overhyped, the threat overrated? Robert Webster: ’Absolutely not! The world should be really happy that the science that was put into play, the antivirals, the vaccines, the strategies for handling it, particularly in New Zealand, saved very many people. There is no other way to prepare for a severe situation and thank God it wasn’t so severe. What would have happened if it had become as pathogenic as H5N1 and killed 63 per cent of the population? There’s no way we can predict severity at this stage. We are criticised because we don’t have the knowledge that will allow us to do that. Michael Baker: ’I think the level of threat from this pandemic was communicated quite effectively in New Zealand. The arrival of a new pandemic influenza virus must be treated with extreme caution, given the history of such events (the 1918 pandemic is still the greatest natural disaster to ever affect New Zealand). Early reports about the 2009 H1N1 virus suggested it had a moderate case fatality and could cause hundreds of deaths, even in a small country like New Zealand. Fortunately, when the pandemic became established in New Zealand it was less severe than these early reports had suggested. 5) What do you expect to happen this flu season? Do you think it will reoccur to the same extent? Sue Huang: ’Knowing that the influenza virus is notoriously unpredictable and mutates fast, it is very difficult to predict where it would lead. This is precisely the reason the WHO is not declaring the pandemic over. It remains uncertain whether the virus would accelerate its mutation rate because of immune pressure from the human population (i.e. a lot of people have been exposed to the virus and developed immunity which would force the virus to change in order to survive). Richard Hall: ’This is very difficult to predict. It has been suggested that this year in the southern hemisphere, pandemic influenza will return in New Zealand, with a ’second wave’ that is of lesser significance than that which occurred in 2009. Many people in New Zealand are now vaccinated against pandemic influenza which formed part of the normal trivalent flu vaccine.